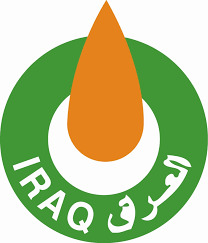 The Iraqi Ministry of Oil News: Exports New Shipments of Liquefied Gas and (C5) Condensed Gas. The ministry of oil announced for the exportation of new shipments of liquefied gas & condensed gas. Mr. Hamid Y. Salih the deputy minister for gas industry said that the ministry exported new (24.000) m3 of the condensed gas & (1600) tons of the liquefied gas from Um- Qasr port in the south of Iraq. Mr. Salih said also that the exported quantities of liquefied gas that he mentioned is a part of the total quantity which was planned to be exported by the Basra Gas Company, which is (10000) tons. Mr. Assim Jihad the spokesman of the ministry of oil said that the ministry is working on to rehabilitate the terminals and the exportation pipelines in Um- Qasr port in order to receive the heavy load tanker ships in order to guarantee a high flow of gas to the global market in order to achieve high outcome to the federal budget. He said also that the rehabilitation project is expected to be completed within the end of September 2016. The ministry of oil announced in Saturday the 2nd of July 2016 for the exportation of the first shipment of liquefied gas through the gas exportation port in Basra province. The ministry declared also that it is working on a strategic plan to end the burning of the associated gas with up streaming within the year of 2018. The ministry announced also in March the 20th of 2016 for the exportation of the first surplus quantity of the condensed gas via a Panamanian tanker ship, then it was followed with other three shipments by (SOMO) company.